The Chinese in Action group visits Toybank! Toybank hosted Chinese in Action volunteers this week! The not-for-profit citizen association based in Mainland China works for the underprivileged and unempowered in their country, with it’s volunteers ranging from engineers in their young 30s to educators in their late 60s. 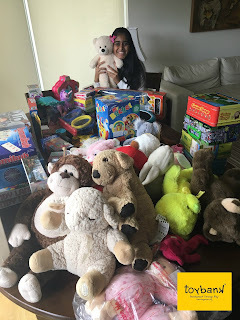 As we shared Toybank’s vision and how far we’ve come since we started 13 years ago, we were taken by their moto of spreading ‘life skills’ through every volunteer they have. They shared that their association is built by, and for, seekers of a ‘transformed’ and empathetic humankind in their country, which they bring about through training sessions and volunteer action events that drive change through action by the members of that community- because they can, and they should. 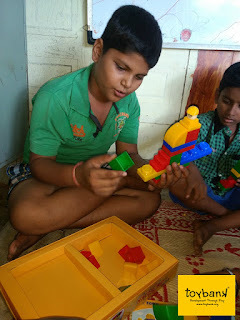 We were happy to share the experience of a play session at one of our centres in Reay Road with our visitors, where they witnessed the Power of Play on a class of sixty young and vibrant kids. Among the games we engaged the children and our volunteers in was a nail-biting round of skip-rope, where one of the Chinese in Action volunteers set a steep goal of 100 jumps, following our kids with 80 and 50 skips a piece! The kids at our centre saw a healthy opportunity to raise their bars; setting realisitic-yet-challenging goals and enjoying healthy competition was a big take-away from our play session. Creating an honest space in our minds to cheer on friends whole-heartedly as they attempt to take on something big is one apple we adults could take a bite out of ourselves! Also part of the play session was a fun round of puzzle and memory games, and exercising controlling over our volumes to practise listening to someone intently when we’re being spoken to. Our Chinese in Action friends engaged with our kids at every opportunity despite an evident language barrier, which amounted to no disconnect in the packed room. If anything, that’s a testiment to the universal language of Play and it’s power to bring people together! We hope our friends at Chinese in Action take with them a big bag of memories and hold their experience of the Power of Play with them for a long, long time to come. Toy Distribution at Malwani- Less is More!